It seems that Google has somehow tried to upstage the real world in news this past week. 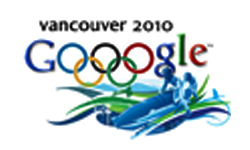 While the outside world has experienced both the opening of the Vancouver Olympics and Valentines Day, Google has made some very big moves themselves. Ok – so how else could we consider starting our week in review than highlighting the wonderful way that Google is trying to map the earth. Not only do they provide us with ‘street view’ but they also are covering various areas of the earth with snowmobiles! Check out this video. In perhaps one of the biggest social launches in Google’s history, ‘Buzz’ is now available for anyone to begin using. Think of it as a Twitter on steroids. A Twitter that is location based. We will be launching a blog this week about it in full but here you can check ‘buzz’ out first hand. You can also see some of the privacy adjustments already made in just one week here. Here also is a nice article comparing the three social media sites. Google also continued its acquisition spree by announcing the purchase of Aardvark. Think of Aardvark as a combination between Yahoo! Answers and social media search. Hmm… well lets just say it is pretty cool. Just another great acquisition by Google who is clearly recognizing the value of social media on the web today. 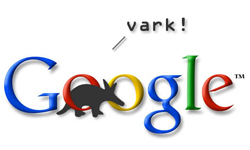 Aardvark has already been added to Google Labs. I suppose this may have something to do with all the abuse Yahoo! has been taking over how little they post about search improvement but here is a nice article from Yahoo! summarizing the enhancements made over the last 6 months. 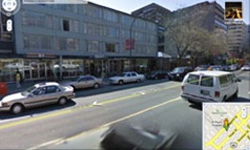 Some enhancements include Local Search improvements, Twitter in Web Search, and a new design of the Yahoo! search portal. Actually I have to say that Yahoo! has been the most active on their search blog that I have seen in quite some time. Some good reading there. Sorry if this has been a shorter update than usual. I suppose we have just been busy celebrating Canada’s first gold medal on local soil!